Take white pants out of storage – Hooray! 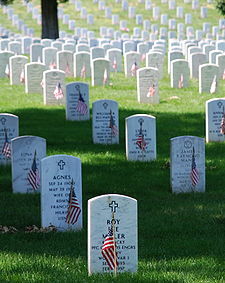 Honor those who have paid the ultimate price for our freedom. Reach out to the families of the fallen. Remember those who are in harm’s way. Do something to help their families here at home. Teach our children what true sacrifice means. Show them what honor, gratitude and respect are all about. Great reminder! Thank you! Memorial Day should be about honoring memories of those who gave their lives for us and to honor those who fight for our freedom today! Unfortunately, too many people think it’s about picnics and sales! Amen. Thanks for the reminder of what this holiday is truly about. I’ll be asking the Senate Armed Services Committee why and how they can sit behind closed doors and decide that more than 23,000 military children do not deserve the medical treatments they need. 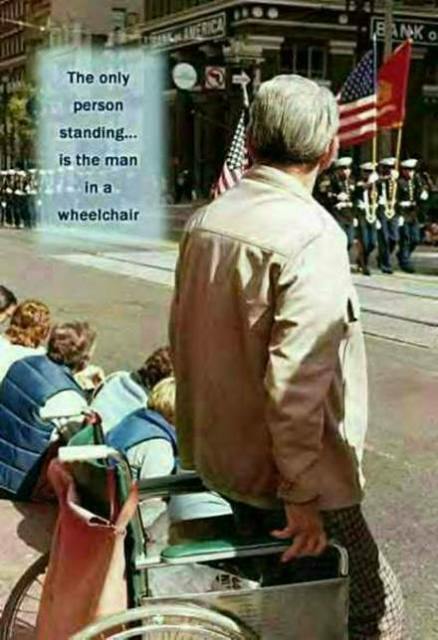 I’ve seen the pic of the man in the wheelchair before and it always gets me.